The SharePoint product group announced on March 7th the “Team News” feature is now generally available and rolling out across all tenants. It has been available for first release customers since October. “Team News”…not to be confused with “Microsoft Teams”…because lets face it…SharePoint had “Team Sites” first! 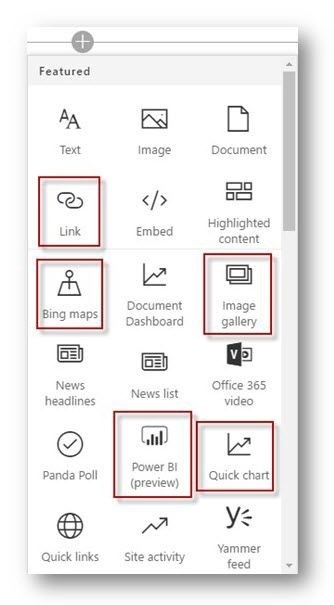 The quick pitch on this is the ability to add a new SharePoint modern page that can tell a story by including web parts from the toolbox to embed documents, videos, images, quick charts, and other content. The amazing thing about this, is that the toolbox of web parts you have available can be added to. You can have your enterprise developers go and build web parts to surface data from other services. Imagine if you were announcing news about a project, and you wanted to embed a kanban board from an external service like Trello. You could build a custom Trello board web part, or wait for Trello to, and add it to the Team News page. The SharePoint Home screen also promotes Team News prominently. This is launched from the app launcher in the top left. I would be interested to see what type of usage this page is getting; I’ve found it a great way to navigate between my sites. Unfortunately it has an awful URL of https://hyperfish.sharepoint.com/_layouts/15/sharepoint.aspx. New modern sites encourage Team News front and center; it is clearly a big priority for SharePoint product group. You can remove this News web part if you want to. 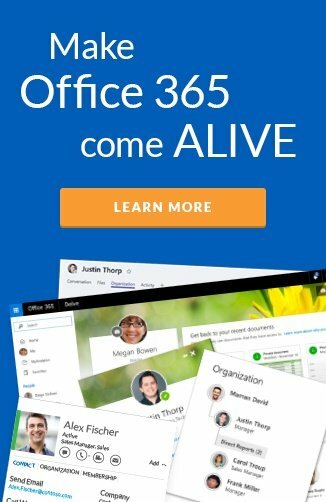 you cannot remove the SharePoint Team News from SharePoint home landing page though. I know…another product comparison. But seriously there is plenty of overlap happening between product groups at Microsoft right now. If you speak to the Yammer product group, company news should be posted on the Company Feed in Yammer. The same can be said for Microsoft Teams too, if your company is under 999 users. But for over ten years now, a SharePoint Team Site can quite easily be made visible to the whole company… that’s what an Intranet home page is for and its always had news on it. I feel for divisional/project/functional SharePoint Sites, announcing news may be better posted on Microsoft Teams or Yammer where there is a two-way interaction. As there is no comment capability or liking capability. Some organization news will probably want to discourage comments, but often it will be expected. Another overlap inside Microsoft I see is with Sway , although I haven’t seen much news about this product recently. The same simple to build dynamic page construct applies in Sway, it is just that these Modern Pages are more linear top to bottom scroll and not left to right scroll. It’s a real shame these two teams didn’t work to share the same page construct as its so similar! Jeff Teper mentioned at Nintex’s InspireX event that multiple zones capability in pages is coming. Right now you can only add a web part one after the other, top to bottom on the page. Clearly the usage of SharePoint Online is much higher than Sway so it will dominate this use case, especially with all the integration across SharePoint. My first impressions of SharePoint Team News was that I have seen this tried to be used back in SharePoint 2007 with Sites based on Publishing Site Templates. When I was building department/project/functional SharePoint Sites, I would always add a Content by Query Web Part to a page and show Publishing Page News. We would add a few example pages and encouage the Site Owners to regularly update this. The result was that often this web part would become stale as no one contributed. No one would keep this updated, and no one paid attention to it .Which often resulted in the web part being removed from the page. I believe with the Team News surfacing on SharePoint Home, by default on the homepage of all modern sites, and in the SharePoint Mobile app; it has a much better chance of succeeding! The fact that when you curate the news article, it will look amazing in a web browser and also in the SharePoint mobile app is a huge benefit. There is also a News tab in the mobile app that aggregates news much like the SharePoint home in the web browser. Where will this be popular? When I tweeted about concerns on contributions recently, Wesley Hackett responded with something that opened my mind to this a bit more. If you don’t think of it as “Team News” in terms of news announcements in context of the members of the SharePoint Site, but instead think of them as promoting the content on the site. This may have a use that isn’t catered by Yammer or Microsoft Teams because of the “beautiful” rich content of the page. This is very much more one-way promotions. I can see people using Team News to summarize a collection of documents for a project that is being worked on. The page would have an embedded Word document, the associated Excel spreadsheet, the PowerPoint presentation and the Office 365 Video all embedded in the page. This is often what was attempted with Document Sets… but largely poorly executed. Another great comment Wes made was around the scenarios of Extranets. Right now on Hyperfish’s Partner Program SharePoint Site. I invite external users and share content there. I have a SharePoint Newsfeed Web Part on there…yep it still works as awful as it is…and yes it is deprecated (primarily because it was shipped right before they knew that Yammer had been acquired). Having beautiful Team News on Extranet sites to communicate activities in a structured way is awesome. Yes this is “news” but in my mind this is more like curated promotional activity on the content in the site. However, I don’t see this replacing me sending a e-mail newsletter to my external users, as they won’t see the Team News without visiting the site. The more I think about SharePoint Team News, the more I see it as attempt number three (as they skipped two major versions with no improvements) of the Blogging Site Template. The Modern Page experience was first introduced directly off the Delve page in context of the user. Then was introduced into the context of the Team when Modern Sites were introduced. When I heard Jeff Teper speak at InspireX recently, he was very positive about the ability to create Team News easily from the SharePoint Mobile app. He used the scenario of blogging about his activity on the road, with customers and partners, so that his team back at base were kept in the loop. I can see this as a great way to share knowledge with a team… without having to do things such as an official Word document or free form OneNote pages that can get lost in the sea of pages and sections. As mentioned, the big benefit that both Yammer and Microsoft Teams has, is the ability to have a conversation. Something that SharePoint Team News does not currently have. Ideally you would want to add a Yammer/Microsoft Teams web part to the page. 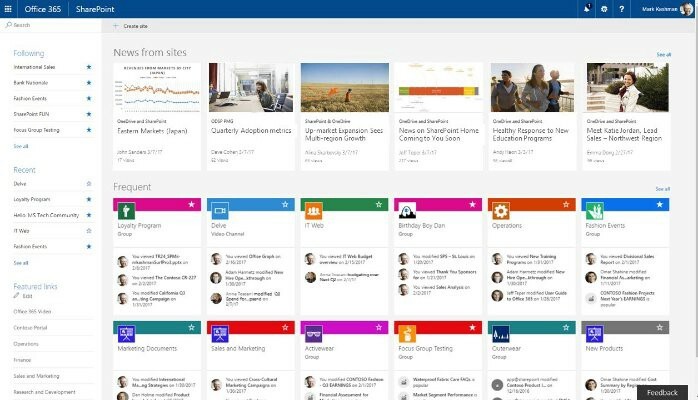 It would be scoped to the Yammer Group/Microsoft Team for the Office 365 Connected Group the SharePoint site is associated to. It could also be started as a thread announcing the news. Then replies are shown both in the news page and if it is viewed from the Yammer/Microsoft Teams experience. Lets hope the SharePoint team don’t try and revive the comment web part and list template that was part of the blog site template. They should leave persistent chat up to two already competing products…Yammer and Microsoft Teams. This really does further highlight a hope of mine that SharePoint and Microsoft Teams are working closely together to bind the products under the Office 365 Connected Group umbrella. It will be interesting to see what happens when a Yammer Group web part and a Microsoft Team web part can be added to a SharePoint Site home page. I can see with great uptake of Team News, there will be a lot of noise for a user; especially if they are a member of lots of teams. There is currently no way to prioritize news or rank which is more important. For instance, if you had an Intranet in a SharePoint Site with Team News, there is no way to show this first on SharePoint Home over news coming from a project site. I think the product will have to consider how news is ranked when rolled up on the SharePoint mobile app and SharePoint Home screen. Audience targeting was something that was used with Publishing Sites in SharePoint Server for many years. It allowed you to target content to people based on particular rules. I think introducing this back would also allow users to personalize which news they see rolled up, or for the organization to customize mandatory topics and optional topics to pick from. A lot of the “intranet in-a-box” products I’ve reviewed have the notion of team news themselves already that leverage the old publishing page content type model. A consistent feature was the ability to have news gated with an approval stage. Typically corporate communications will want to review news before it gets posted out on divisional/functional/project Sites. This has been a big investment for the SharePoint product group. I’m sure they have a long list of things they want to add now its generally available to all SharePoint Online customers. I’ll keep my finger on the pulse and update on this blog as new features show up.